As you might have noticed, the free Get Exchange Rates API is no longer available on this site. In order to offer you a free, more reliable and accurate service it has been integrated into the currencylayer API, which provides real-time exchange rates for 168 world currencies, paired with a large number of features and customization options. Start using the API It's free! 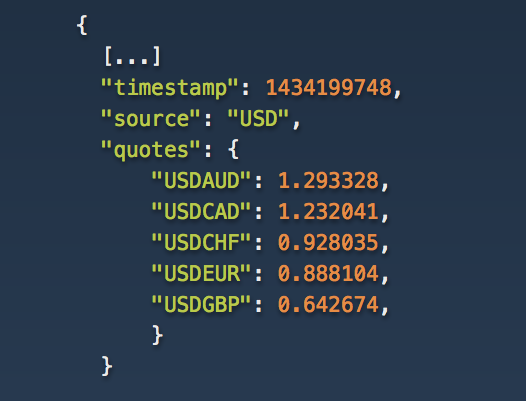 Get Exchange Rates has become a part of the currencylayer API and our free exchange rates API is now available at currencylayer.com/product, with a full stack of new features and more reliable und up-to-date data!